Gibson Dunn | Hurlock, Matthew H.
Matthew H. Hurlock is a partner in the New York office of Gibson, Dunn & Crutcher. He is a member of Gibson Dunn’s Private Equity and Mergers and Acquisitions Practice Groups. 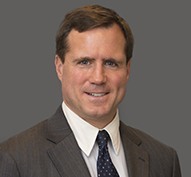 Mr. Hurlock represents private equity funds and companies in connection with complex business transactions, including mergers and acquisitions, leveraged buyouts, joint ventures and strategic equity and debt investments, including in connection with corporate restructurings. Mr. Hurlock’s private equity clients have included and include Bain Capital Partners, Change Capital Partners, CVC Capital Partners, Eurazeo, Lindsay Goldberg, Morgan Stanley Capital Partners, Oaktree Capital, Providence Equity Partners, Stirling Square Capital Partners, Trilantic Capital Partners and Vestar Capital Partners, among others. Mr. Hurlock has extensive international experience. In addition to living in London from 2000-2011, Mr. Hurlock has lived and practiced law in France, Germany and P.R. China. Mr. Hurlock also has substantial transactional experience in Latin America. He speaks fluent Spanish, French and Italian and good Mandarin Chinese. Mr. Hurlock is on the Board of Directors of New York Lawyers For the Public Interest. He is also a member of the Supervising Trustees of the Parker School for Foreign and Comparative Law and a member of the Board of Visitors at Columbia Law School. Mr. Hurlock graduated in 1993 from Columbia Law School, where he was Notes & Comments Editor of the Columbia Law Review and a Harlan Fiske Stone Scholar. Prior to joining Gibson Dunn, Mr. Hurlock was a partner at Kirkland & Ellis. Mr. Hurlock is admitted to practice in the State of New York.